What a difference 3 months can make. Exactly three months before this show, Kris Barras played his album launch at Thousand island (upstairs at the Garage) in front of a fairly small crowd. Since then he’s toured with Beth Hart and gained a load of fans in the process, and now he’s back in London for another headline show. The odds were certainly against him – it’s a midweek gig, and among the many other gigs in London tonight is Hollywood vampires (featuring Alice Cooper, Joe Perry and Johnny Depp), so the fact that there’s a good size crowd is testament to how much Kris Barras has grown in popularity recently. Due to train problems I missed most of the Rainbreakers set which is a real shame as they’re a great live band and sounded to be in top form tonight. 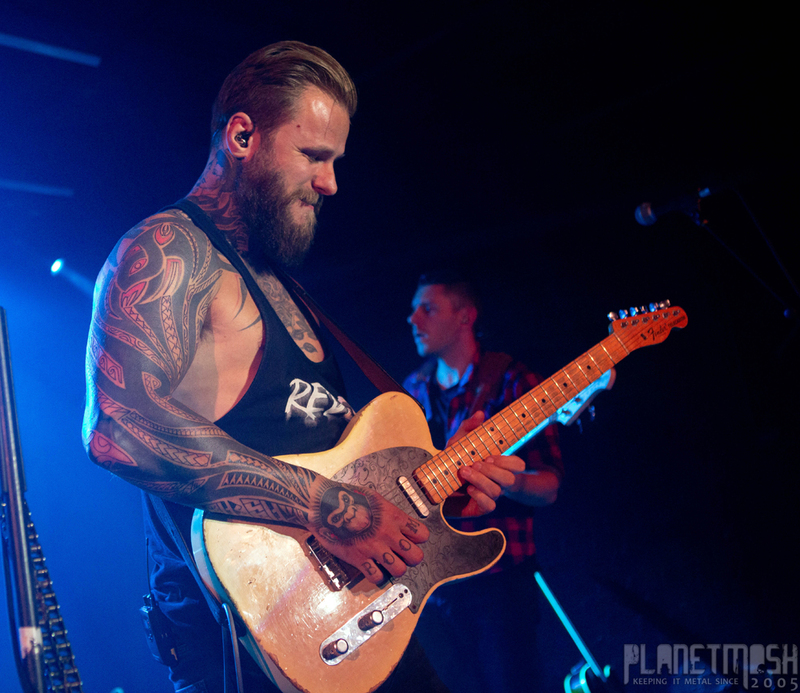 Former MMA fighter, Kris Barras took to the stage with his band. With his latest album, “The divine and dirty” having been out for three months it’s no surprise that half the set is based around that album, with seven songs from it being given an airing tonight. It’s noticeable that the audience are clearly familiar with the new songs and they really go down well, especially songs such as “Propane” and “Hail Mary” – the two singles from the album. With such a strong catalogue of his own songs, there’s only one cover included (All along the watchtower). During the show Kris Barras really does come across as down to earth and genuinely likeable with no trace of an ego. It’s a great show – Kris Barras is a performer who never disappoints. Kris Barras is about to start a run of shows as frontman for Supersonic Blues Machine, before being back with his own band to support Joanne Shaw Taylor later in the year.